Shooting at distance is a tough proposition for most shooters. There’s a good reason for this, and that is because most of us don’t get to practice at distances much beyond 100 yards, simply because the vast majority of small club and public ranges don’t have lanes any longer than that. Sure, you can laser rangefinder that mark waaaay out there, slap on a fancy scope with dozens of tiny hashmarks in the reticle, and examine the ballistics tables for your ammunition and barrel length to make an educated “guess” as to where you should hit at, say, 563 yards. But the truth is, shooting at distance accurately and consistently takes anything but guesswork. If you really want to hone the skills that take you beyond the 100-yard sighting in mark, whether it’s because you’re a big-game plains hunter who missed the trophy of a lifetime because you read the wind at 300 yards but not 425, because you’re varmint hunter who needs to be accurate on small targets at longer ranges, because you’re a 3-Gun competitor shooting tiny targets at all distances from weird positions, or simply because you just want to be a better rifleman, The Ultimate Sniper is a superb reference volume every bullet-slinging long-gunner should read. First printed in 1993, John Plaster’s monumental work on military and polices sniper skills has been completely updated and revised for current day applications. From tactics to practical field craft, this extremely well-respected tome is about rifle marksmanship at exceptional levels—but you don’t need a badge or a uniform to put the knowledge here to good use. Look at it this way. 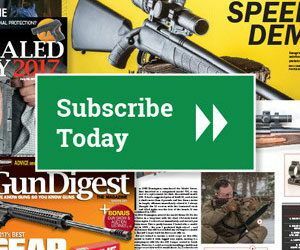 We spend a lot of time in this business talking about constantly honing our handgun skills, urging our readers to practice, practice, practice, be prepared, think through situations, and then practice some more. Seems to us we should have the same mindset with our rifle skills—and we think The Ultimate Sniper is just the incentive you need to get to that next level.